Folsom or El Dorado Hills Home Prices Are a Bargain…! San Jose’s Median Home Price – $800,000 range – Folsom/El Dorado Hills = More Home for Much Less. Prior to moving to Folsom in 1989, my family sold an 1800 sq foot home in San Jose for $300,000 and thought we’d robbed a bank in doing it. Our new Folsom home was new in the new neighborhood of Lexington Hills. A brand new 2500 sq.ft. home that included a pool and spa for under $220,000. It’s plain to see you can buy much more home for a lot less money in Folsom or El Dorado Hills then you can in San Jose or anywhere else in the Bay Area. Today’s market is the same and I think we’re about to experience another wave of Bay Area buyers coming to our area to scoop up some homes here that would make a “Central American Dictator” proud. Check out this article I got from the Silicon Valley Business Journal to see what I’m talking about. If you live now in San Jose or anywhere else in the Bay Area, Click Here for a list of homes in Folsom and Click Here for a list of homes in El Dorado Hills and let me know what you think. Some fun facts about our area; We’ve got awesome weather. We’re close to the Bay Area and Lake Tahoe. If you like wine tasting, you don’t have to drive to Napa. Just check out next door Amador County. If you have school aged children, trust me, moving to this area was the best thing I ever did for my family because we’ve got great schools with lots of activities and superior academics. If you are from San Jose or any where else in the Bay Area and thinking of relocating, call me and let me give you what I call the “Chamber of Commerce” tour of the area. I can help you find the home of your dreams, or… if you’re an investor we also specialize in the Sales and Management of Single Family homes, Duplexes, Four-Plexes and small to medium sized Apartment Complexes. Rents Are Up in The Sacramento Area – Old News To Us in Real Estate Sales & Management. When The News Hits the Sacramento Bee – You Know it’s “Old News” When It Comes to Real Estate..! If you’ve followed my blog site for any length of time I’ve pointed this out several times. The reason you ask…? They stopped building Apartments and just about anything else here because of the recession. They are only now beginning to ramp up, but mostly single family homes. 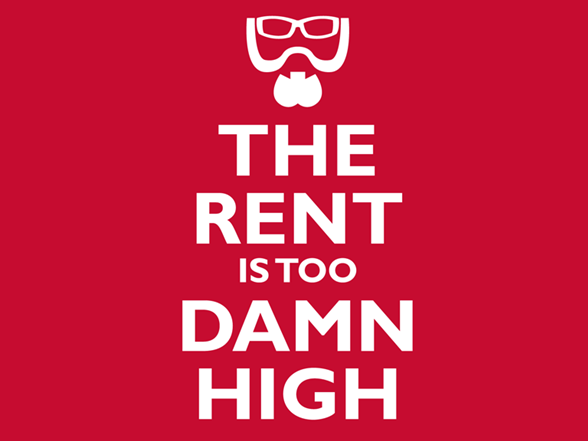 And since they are not building more apartments for middle class folks just starting out, rents have gone up. What apartments they are building or planning on building are “subsidized” housing or the more “high end” apartment complexes with lots of amenities according to a recent article in the Sacramento Business Journal. I’ve said to many people seeking to find a home or an apartment to rent in Folsom, Orangevale, Roseville or any other area in the Sacramento Region that, “you probably need to know somebody inside to get a decent rental anymore”. I wrote about it here. Many of the investors I have placed into Duplexes, Four-plexes and Small Apartment complexes know they can get “higher rents”, so most of them have improved their properties to take advantage of the upswing in rents that can be derived. That also was written about in today’s Sacramento Bee article. So CLICK HERE for that latest story from The Bee. Let me know what you think.